These carrots are purple! How can I resist a purple carrot?! 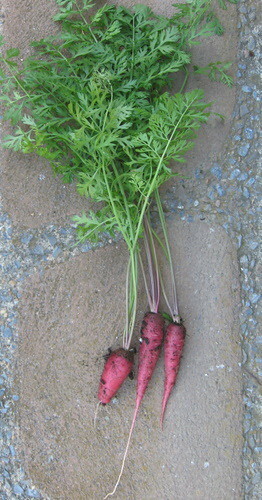 Sown from my Carrot, Cosmic Purple Seeds. A purple carrot???? way cool! I can’t wait to see what these look like. I have two kinds. I bought this one, and got another one in a swap with Verthandei. It will be interesting to see if they are different.